How do you prove once and for all that your love for her is the fuel to your every endeavor? Love can be a well of poetic expression if you have the knack for it, but even then you’re likely to sound unoriginal, or worse, cheesy. You might have thought about romantic gift ideas for her too. Now we’re getting somewhere! Unfortunately, those can also miss the mark –that oversized stuffed bear might look like an awesome gift idea for her while you're in the store… and then come crashing down once you realize the thing takes up too much space. If you take the elements at the core of these different approaches to surprise gifts for her and distill them to their core, you get the desires for expression and its embodiment. 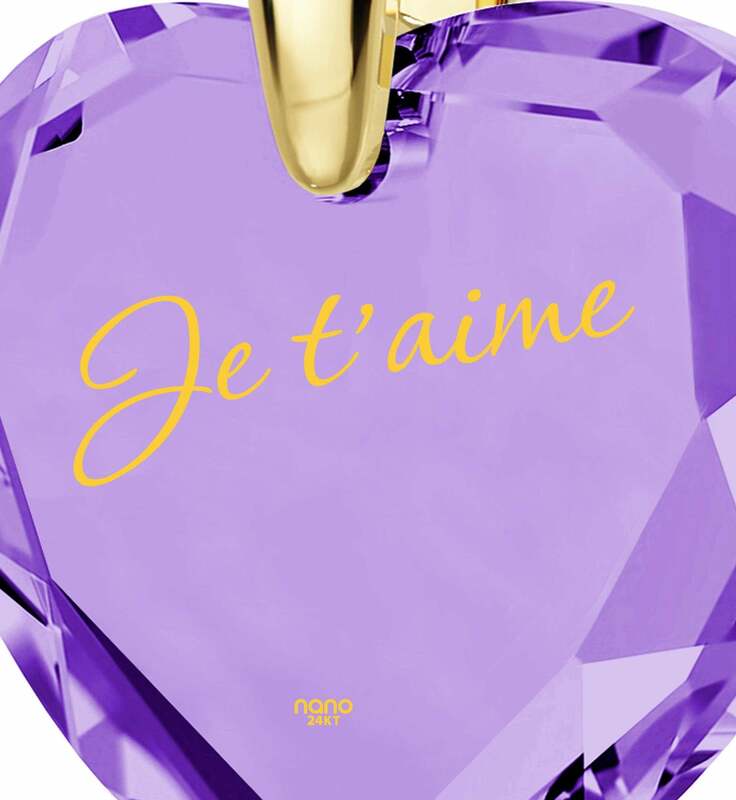 A perfect blend of the two is therefore a cute gift for your girlfriend or wife that looks beautiful on her and can inspire her with the strength of your affection whenever she glances at it. 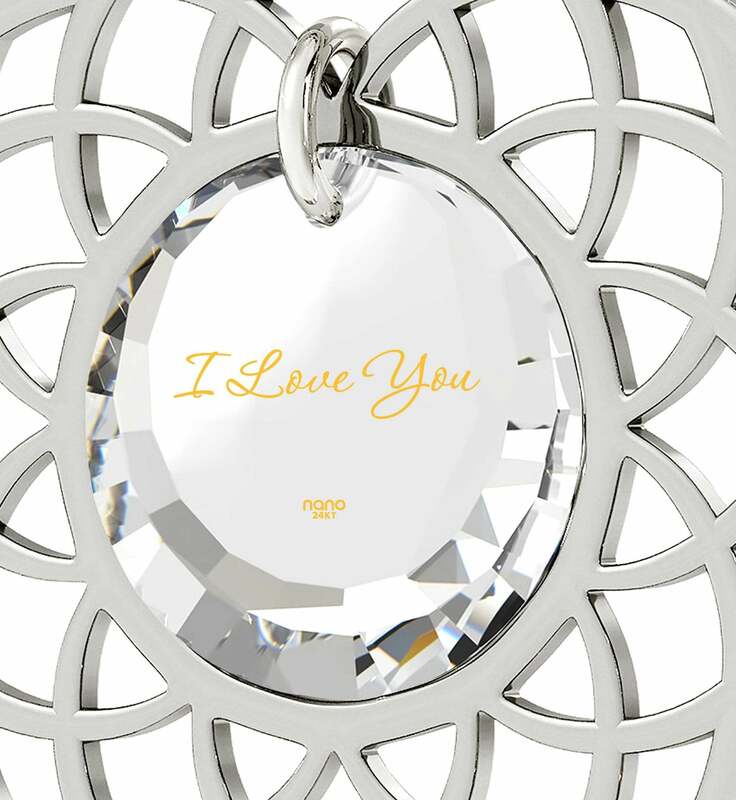 There’s no better expression of love than stating it clearly, and no better way of doing so than with inspirational jewelry for women. The first among many of our delectable offerings is a wife gift idea your spouse will likely love the most. A dream of purity and gold, this masterpiece says more than enough about your love for her with its elegant sophistication. 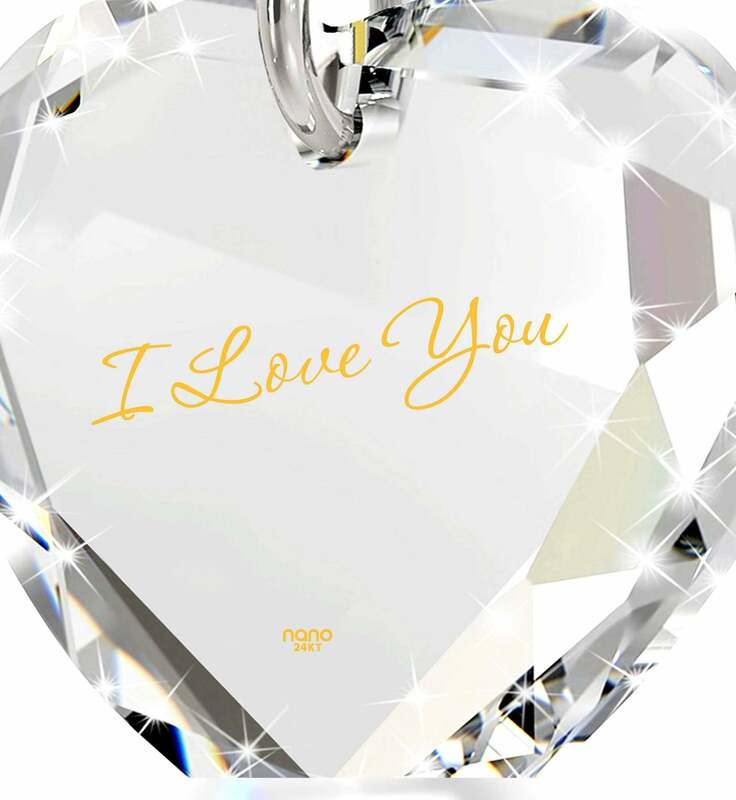 The unblemished Swarovski heart born by a golden box chain sets the stage for a golden “I Love You” she will cherish as much as the first time you said the same words to her out loud. 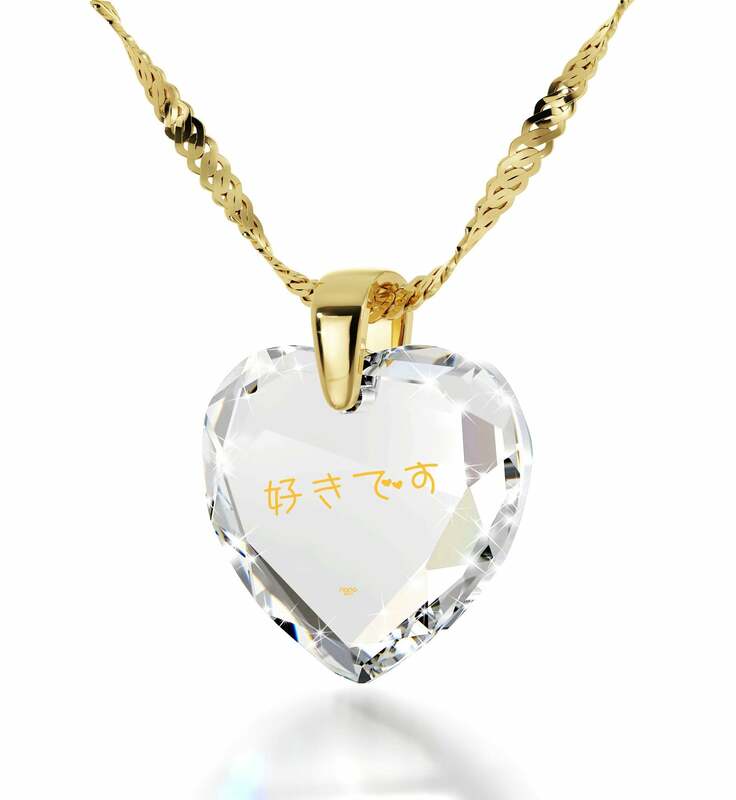 If the crystal clarity of dazzling Swarovski crystals is less important to you than being able to turn the stone your love comes inscribed onto a color she finds more pleasing, then you’ll definitely want to take a look at the cubic zirconia version of this amazing gift for her. A rich shade of red as vivid as your passion or azure blue as calm and inviting as the eyes you look forward to seeing every time you wake up, the choice is an agonizingly sweet one to make. 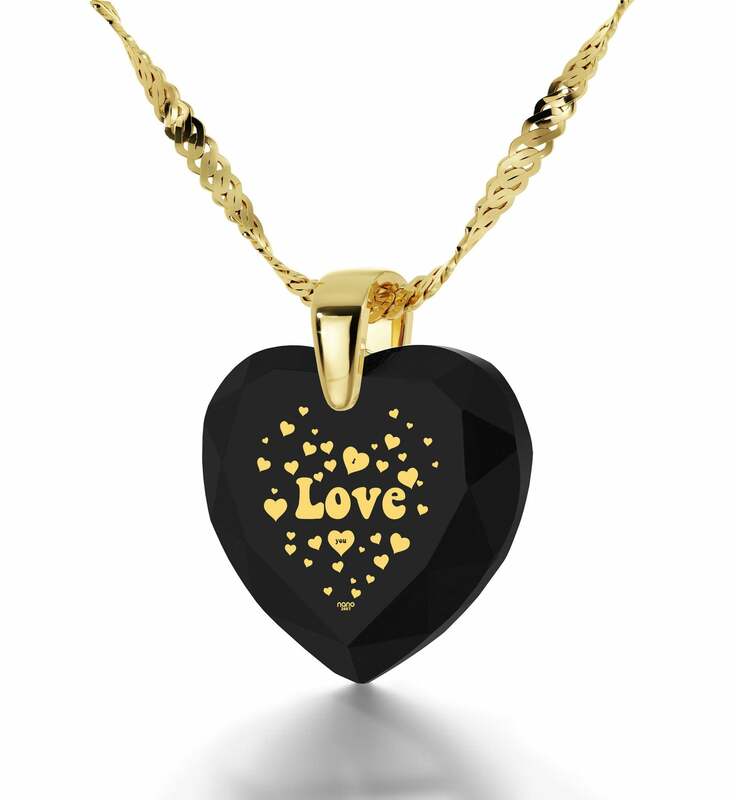 Want the design of the meaningful necklace you’ll be gifting her with to be a little more ostentatious? 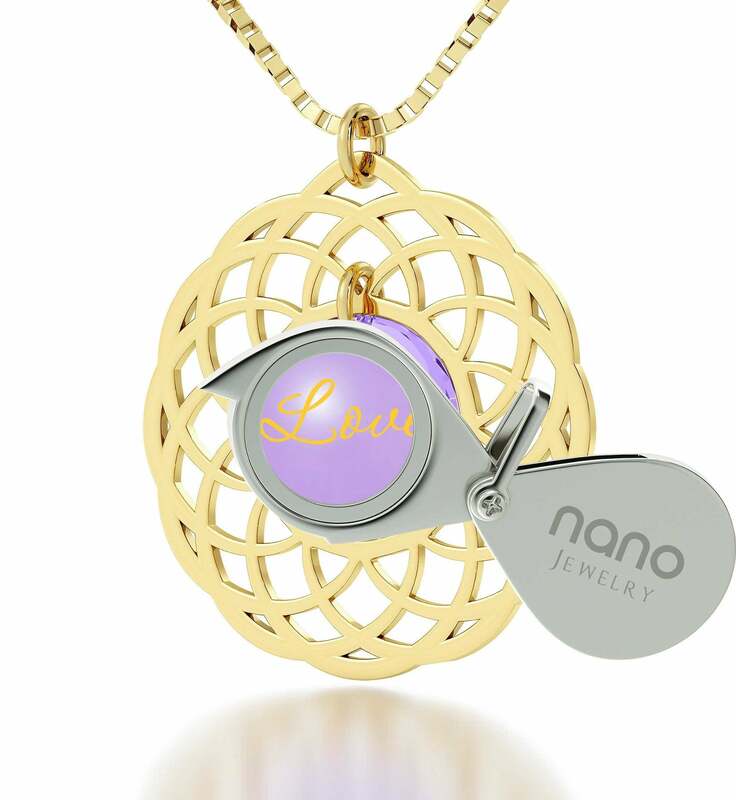 Say no more, and let your eyes take in the magnificent form of this splendid necklace’s enchanting mandala frame. Let its convoluted mesh symbolize the intricacy of your feelings for her with a confession of pure love at the heart of both of them. 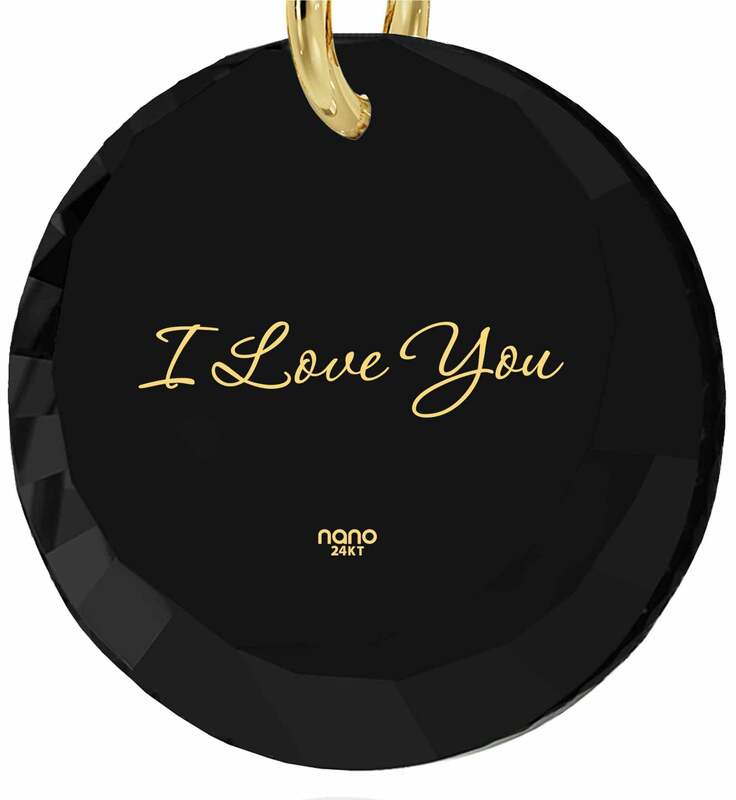 Destined to become the new undisputed star of her jewelry box, this particular necklace is a love token you don’t want to say no to. 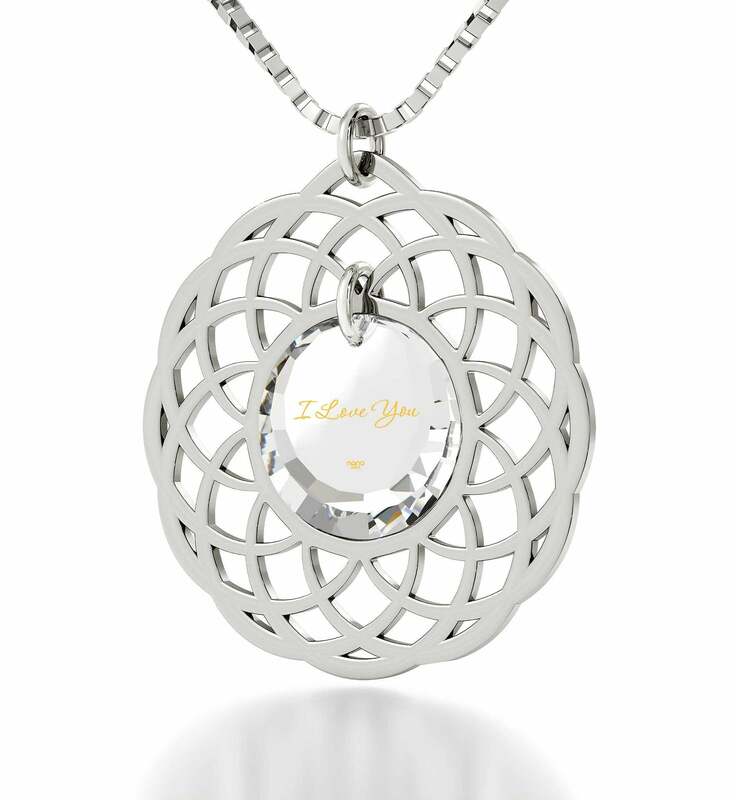 Next up is the ideal I love you gift to give the girl you seriously fell for! 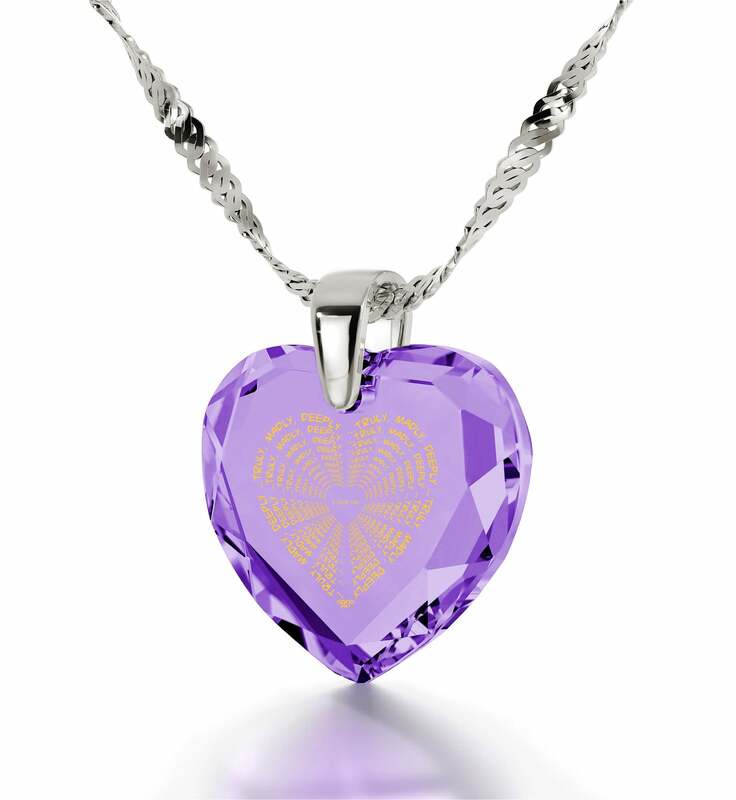 Your heart is hers for the taking, so show her as much in style with this heart-themed necklace. 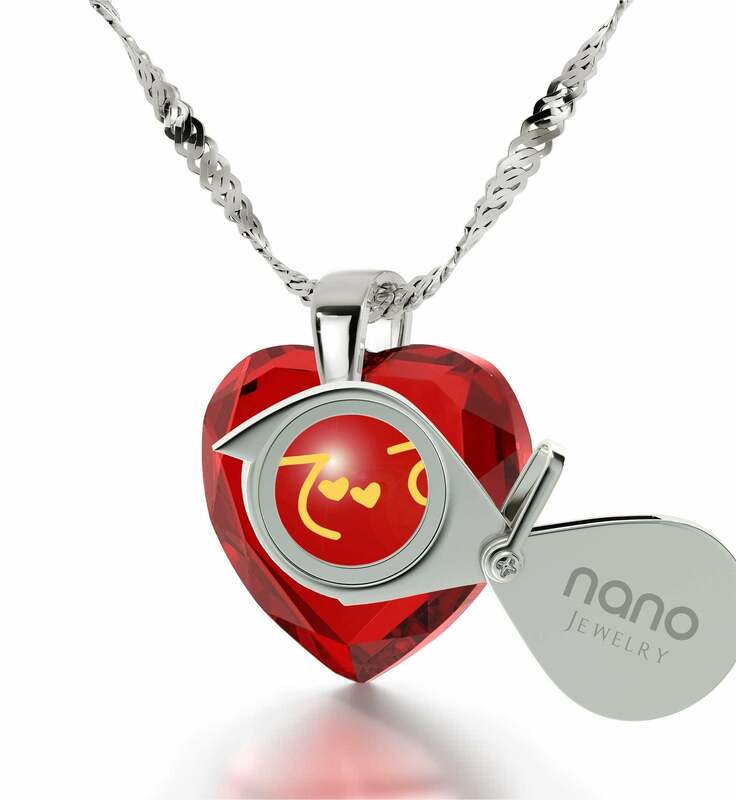 From the heart carved from a shimmering cubic zirconia crystal to the smallest one inscribed on its face, they come together to announce your budding feelings in a cute way that’s sure to win her over. Sterling silver not fancy enough for you? 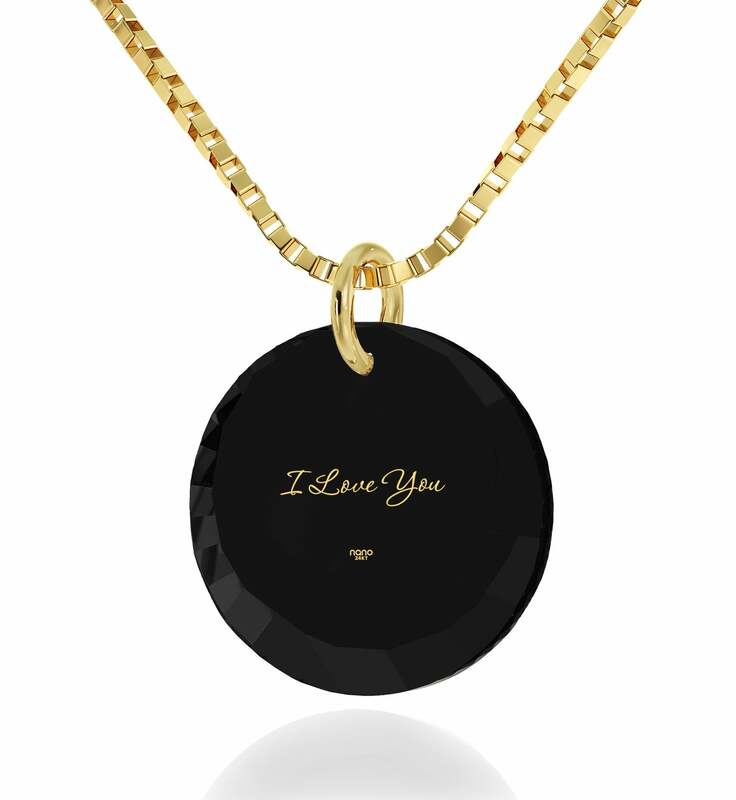 Well then, step your game up and pick up a love necklace for her whose Singapore chain is gold instead. 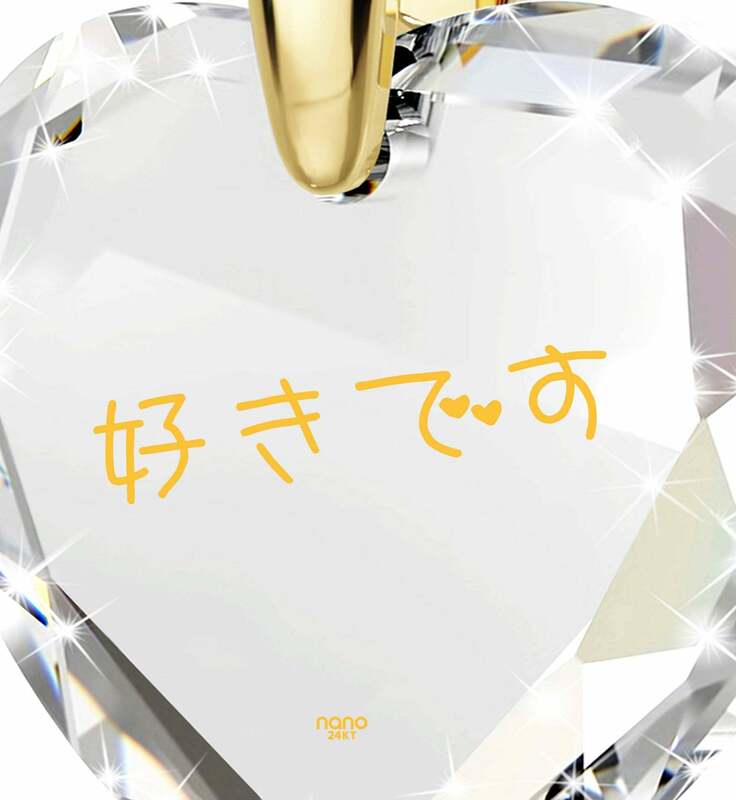 We thought that it would be a shame to limit your expression to just one language, so we created love proclamations in a handful of world languages that they may resound across the world! 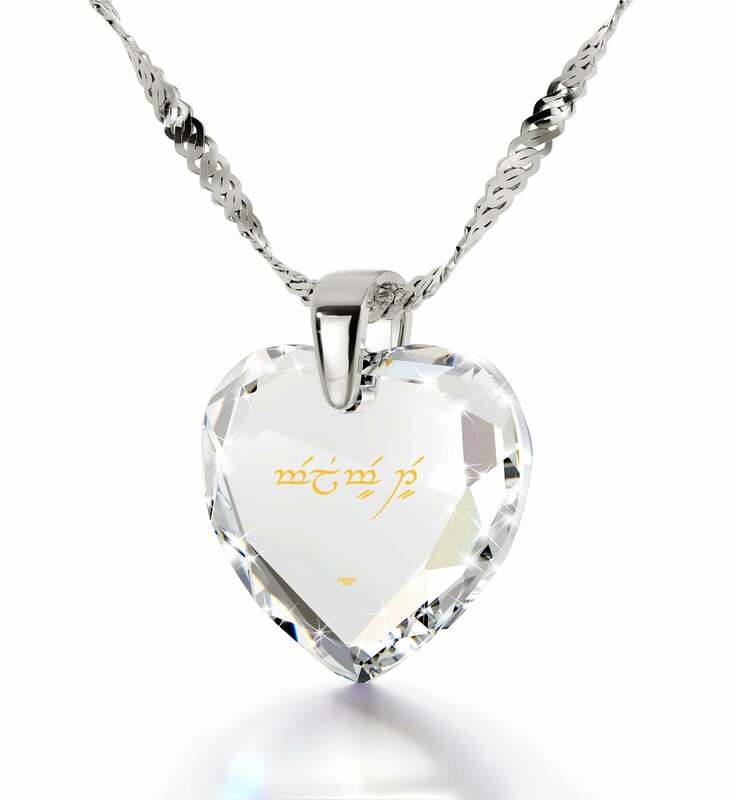 Say “я тебя люблю” with the Russian version of the birthday present for wife, or “Ich liebe dich” with the German counterpart of the meaningful jewelry. Spanish, French and Japanese are also present, and you can even tell her you love her in the language of the elves. 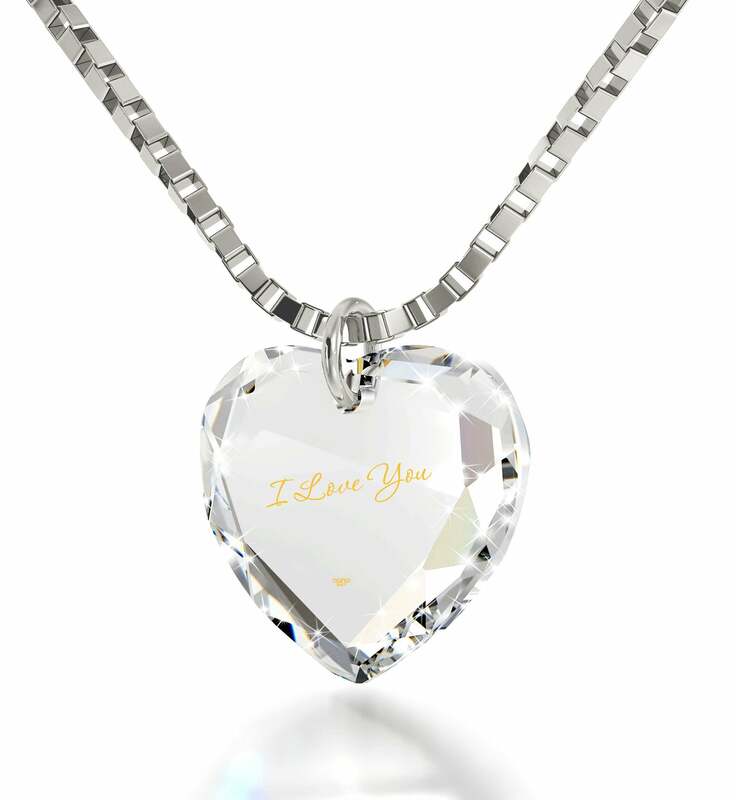 Lastly, here’s a thoughtful gift for her which puts an original twist on showing the intensity of what you feel towards the one you care about. In this imaginative display “truly, madly, deeply” becomes smaller and smaller, drawing ever closer to the “I Love You” in the middle. It’s a subtle way of saying how infinite the truth and depths of that love really are, and creates an intriguing effect that just begs to be stared at in amazed fascination. 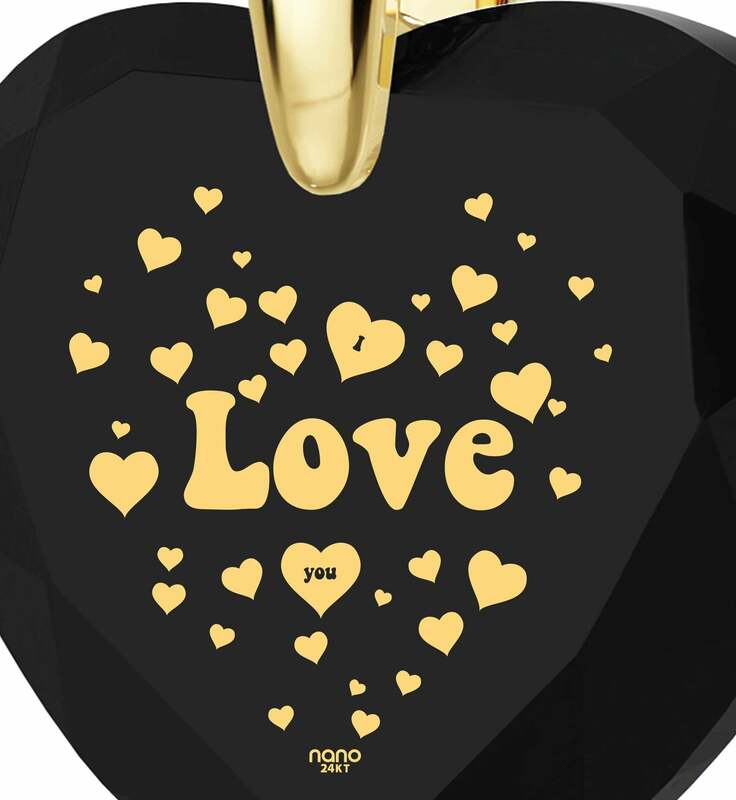 You can take the time and tailor the shape of the jewelry your lovely message is displayed on to your heart’s content. What represents your feelings better, a straightforward heart necklace for her of sterling silver? One with an elaborate golden mandala frame? Their materials and styles might be different, but the fine golden imprints which adorn them all share the same sophisticated craftsmanship that does wonders with 24 karat pure gold. Each “I Love You” is a miniature work of art which many would like to copy, but simply can’t. 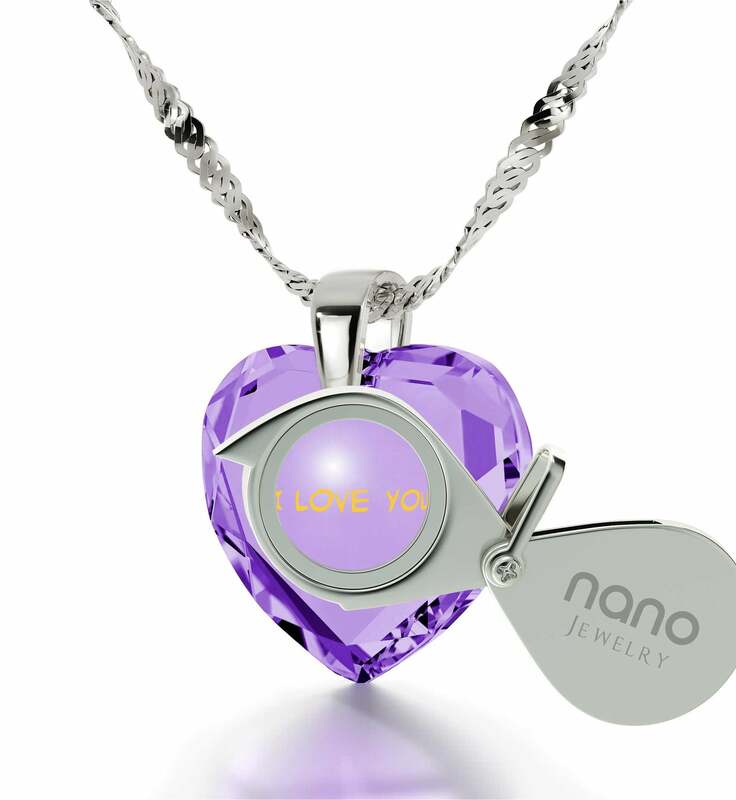 We’ve made sure that no time is wasted from the moment you decide on the shape, materials and color the love necklace of your choice is to have to the moment she can clasp it around her neck with glee. Even if something about the present for wife seems to be less than perfect, we’ll be more than happy to clear that up for you right away. Expect the necklace to arrive inside a fine-looking box in the company of a petite magnifying glass as a small treat on us. 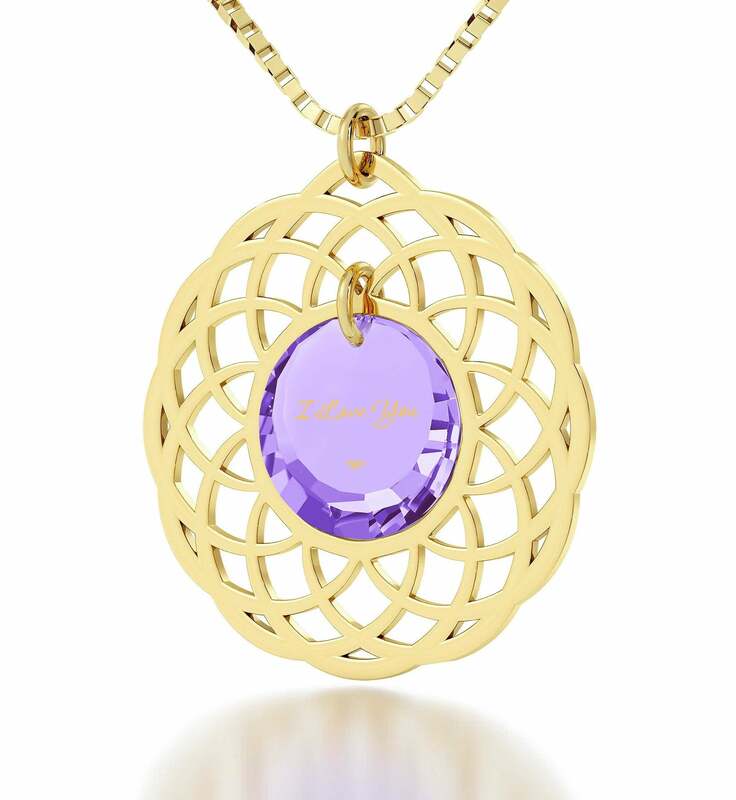 Wonderful, sophisticated, unique… those are the words that describe a love worthy of celebration and which will set her imagination ablaze when you let slip all of the secrets her new beautiful necklace has to offer. 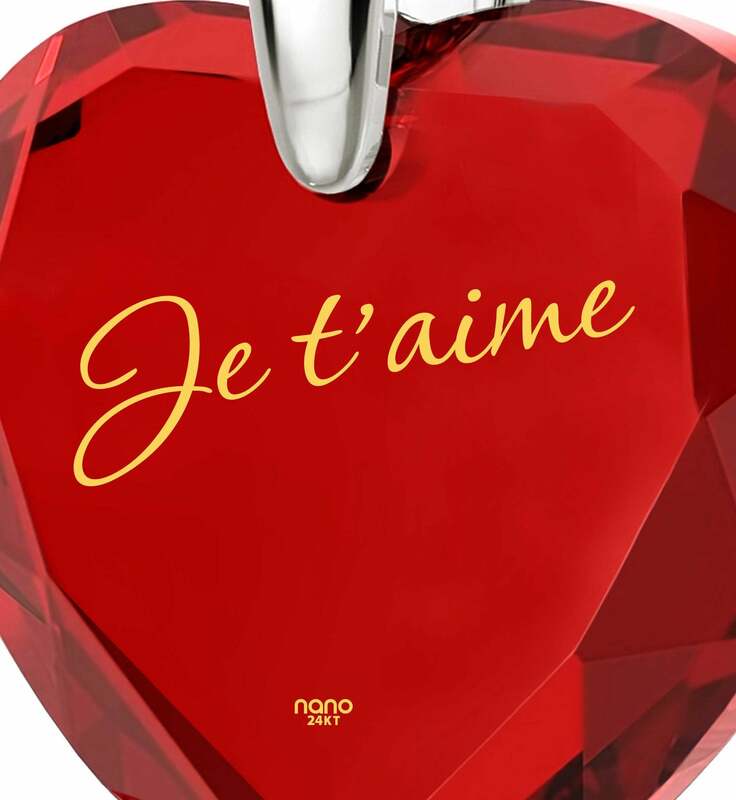 Let “I Love You” in its purest form mark the beginning to the next thrilling chapter of your lives and bring its manifestation close to her heart.